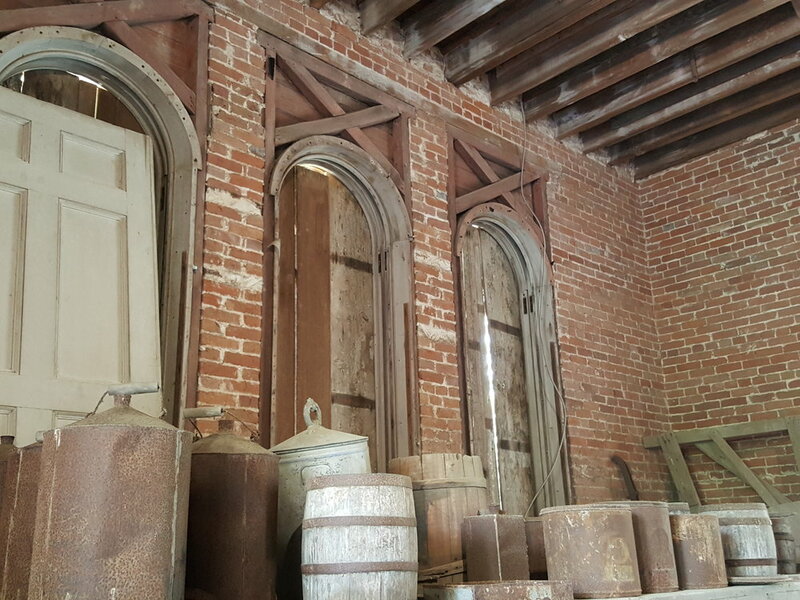 The Home of Shattered Dreams - Longwood, Natchez, MS — Travel and Adventure Await You! Hauntingly beautiful is the only way to describe Longwood. Not only is it the beauty of the 30,000 square foot Oriental Revival architecture or the property littered with trees covered in hanging Spanish Moss, but it is the story. This home is the story of hopes and dreams, life and love from an era gone by. All the hopes and dreams are now gone, yet this home and the family who loved it so, still remain. Haller Nutt was an extremely wealthy plantation owner with 5 plantations in Louisiana and Mississippi. He built his fortune in growing cotton and sugar, even hybridizing a special cotton strain to grow better in the Deep South. In 1860 his wealth allowed him to purchase 90 acres near Natchez and begin construction on a “Urban Villa” for his wife Julia and their 11 children. A Philadelphia architectural firm was hired to build the largest octagonal house in the United States. The exterior of the home was barely completed when news of the Civil War reached the ears of the craftsmen. They dropped their tools and headed North. Today, those tools remain where they were dropped. Slave labor completed the bottom floor of the house where the family began living in 1862. Haller did not join the war effort. Though he was a slave owner, he was also pro-Union which, in the end, caused Grant to spare his Cloverdale Plantation from destruction. Workers from the North dropped their tools and left when word of the war broke out. The war brought tough times, destroyed Haller’s plantations and their products, and his fortune. All of Haller’s plantations in Louisiana went into foreclosure and were lost. The remaining plantations in Mississippi weren’t always profitable. Haller, devastated, succumbed to pneumonia in 1864. Julia continued to raise and school her 11 children from the basement of Longwood, but they were hard pressed to make a decent living. Julia and later her daughter also named Julia, ended their days at Longwood. The family cemetery on the property at Longwood. Today, the house and, it seems, the family remain. Haller has frequently been seen in the gardens and occasionally in the house. A lady in a pink hoop skirt is often seen on the stairs. Mysterious footsteps and odors abound throughout the house, as do the voices of children playing - when no children are present. Investigation teams seem to consistently have troubles with equipment and when equipment is left overnight they often return to find that the batteries are dead and that no video or audio was captured for the entire evening. A trip to the cemetery on the property causes a great feeling of sadness many visitors report getting chills even on hot days. 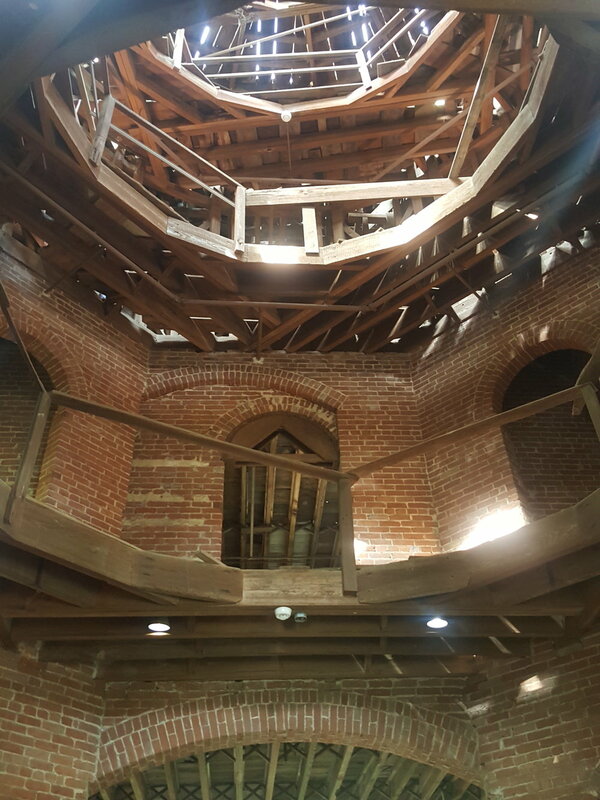 Looking up into the unfinished dome of Longwood - almost exactly as it looked in 1860. This home is an architectural wonder - unique in the U.S. The paranormal activity here creates just one more dimension of curiosity. The culmination of a lifetime of effort and the future of a family was placed into this home which is probably why the family remains, refusing to let go of their hopes and dreams. The home is the only unfinished Antebellum structure in the U.S. and one’s heart aches to look upon it and know what it was to this family: a shattered dream which lives on. Ultimate Paranormal is a full service travel agency specializing in haunted and/or historic adventures. To find out more or to book your very own adventure contact us today!